Creating an online exam site might be easy. But, choosing the best online exam WordPress plugins is not an easy task either. The Internet is the greatest source of knowledge and also the medium for exams. Online exam plugins are the best way to add online exam functionality to a WordPress website. Through an online exam WordPress plugin, you can narrow your test to specific elements of your site such as post, pages, sign up form, an image etc., and it is up to you. Recommending you here the 5 best premium & free online exam WordPress plugins that bring a good effect in your website. They are easiest solutions to conduct tests, generate results, analyze the report, conduct quiz completions and much more from anywhere to everywhere. 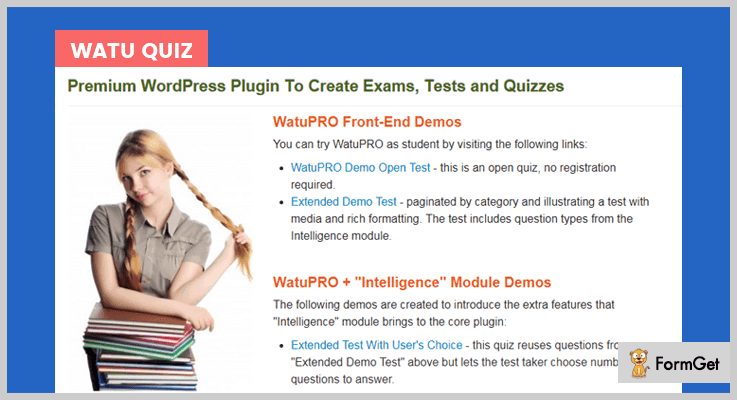 This simple quiz plugin for WordPress allows you to build a best online exams WordPress site. The plugin adapts to your requirements with many features such as random questions, question explanation etc. The plugin allows you to give ranking to your students at the same time of ta est. It permits your students to download certificates after passing the test. With myCRED codex integration, you can monetize your website by editing each users balancing and history anytime. The plugin can be integrated with WooCommerce for sale as well. Import or export the test results and questions with CSV file. The plugin comes with its regular charges at $93 with 6-month supports and its extended charge is $1020 with unlimited of features. 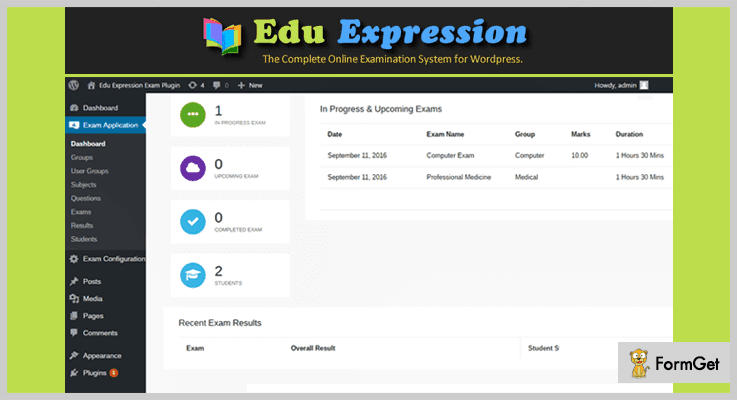 Edu Expression online exam plugin is the simple and easiest exam plugin through which you can get examination started in just a few minutes. This responsive online exam WordPress plugin gives you a flawless ability to create or categories the questions based on the subjects. The plugin also provides questions banks. It provides subject options with a question of multiple choices. Allows you to provide group assignment to the students. Edit or delete the student data in a bulk. Buy its tons of features at just $59 and extend more services of its at $619 only. 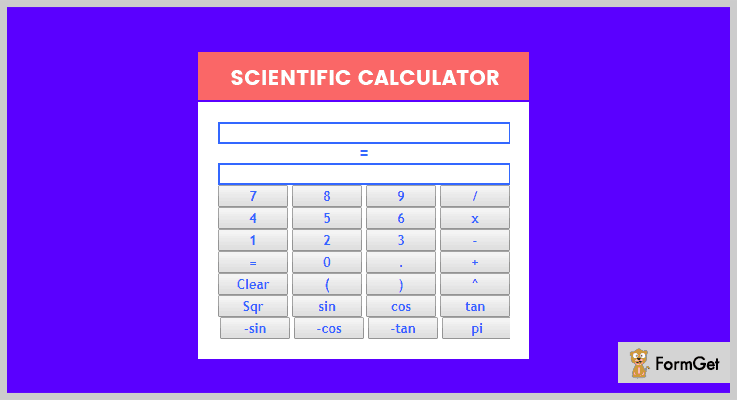 The scientific calculator lets the visitor to Calculate anything on your website. The plugin is the ideal for the academic, online test, knowledge base & learning website etc. The plugin has an ability to automatically match with your website’s themes colors, fonts, style etc. The plugin is simple & easy to install. The plugin doesn’t require any technical expertise. Takes low space in hosting. Download this plugin to its regular license at $7 only, and extends up to $100 for more varieties of features. With this Watu Quiz plugin, you can create exams and quizzes quickly and easily. And, the plugin provides result immediately after finishing the exam. The plugin allows you to assign grades and marks as per the performance in the exam/quiz. This plugin is fully featured list WordPress plugin with data export, student logins and many more. Used to create quizzes, test, and exams. Provides both single choice or multiple choice questions. Notify the admin when someone takes a test or quiz. Download this plugin at free of cost with its unlimited features and functionalities. This Quiz maker plugin is the most powerful and the easiest to make a quiz and test in a short period of time. The plugin allows you to create an unlimited number of quizzes, tests, and questions. 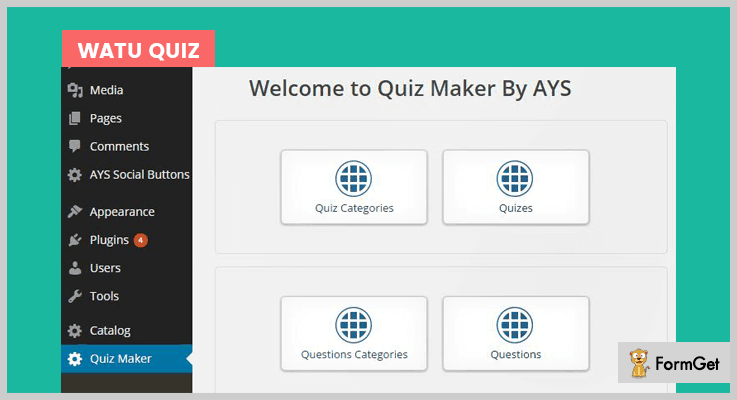 This quiz maker is a user-friendly & responsive plugin so that anyone can handle this. It gives you an opportunity to see the score instantly after passing the quiz. Allows you to create an unlimited number of questions in every quiz. The plugin is completely an open source software. The plugin is completely Free of cost. Download this from its official site wordpress.org. And here my writing comes to close. 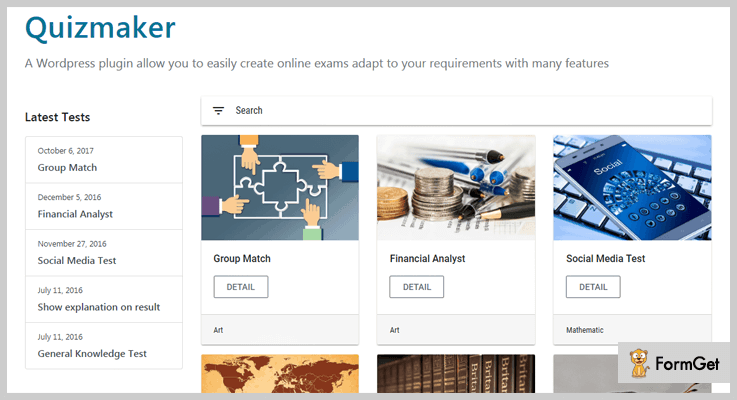 These 5 best collections of online exam WordPress plugin are full of features which we all look for to have on our website. Easily conduct test & quizzes, generate results and much more with the help of the plugin. Hoping you liked our post. Still, if you want to give any suggestion or have any queries do comment us below!